All our classic canvas prints are hand stretched by our order finishing team, attention to detail is standard with Pixa Prints. Frames are made from pine wood stretcher bars, tensioned using canvas stretching bars to ensure a tight canvas stretch. We offer two types of frame thickness - 18mm or 36mm. Canvas prints are a great way to get your best images off your camera and on to your wall for everyone to see and enjoy. Celebrate an anniversary with your favourite wedding photo and the date, or create a collage of your favourite moments with your kids if you’re struggling to pick just one image. Why not surprise a friend for a special birthday with memories they’ll love? Or how about scanning your child’s artwork to create their very own professional-looking masterpiece. There are countless possibilities for ways to create a unique and beautiful design using your very own photos. Each canvas is guaranteed to become a talking point and will allow your fondest memories to take pride of place in your home. 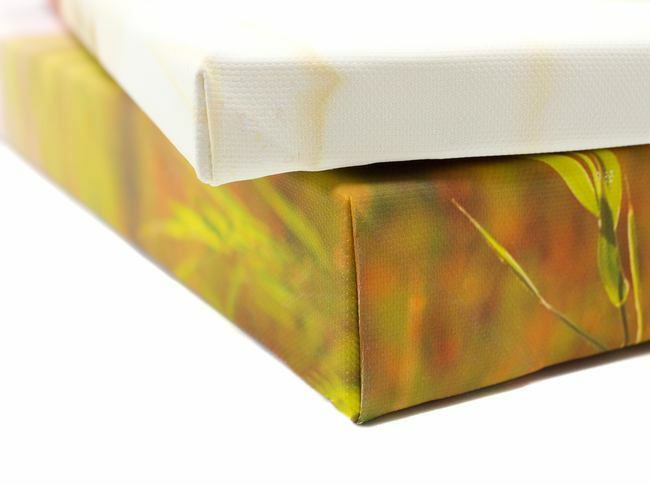 Our classic canvas prints are hand-stretched by our order finishing team, with the same excellent attention to detail that comes as standard with Pixa Prints. 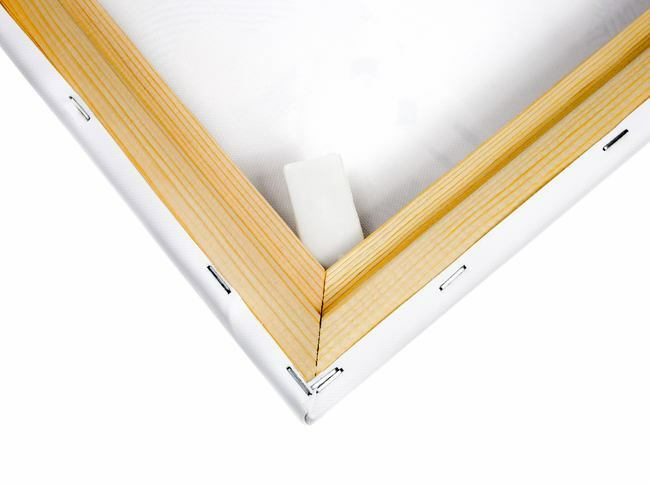 The frames are made from pine wood, which are tensioned using canvas stretching bars for a tight and top quality finish. We offer a choice of two frame thicknesses – 18mm and 36mm. Your photos will be printed on a high-grade, poly cotton canvas material using a 10-colour print process for great depth of colour. With a range of sizes to choose from, in square, portrait or landscape options, you can create a product that suits your needs perfectly. 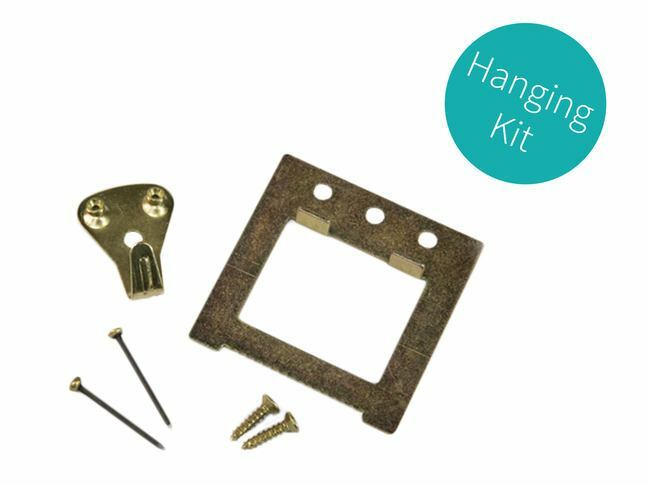 What’s more, each print comes with a hanging kit included so you can display your print as soon as it arrives. I am over the moon with my canvas prints. I had ordered two before and was so delighted I was straight back onto that computer to get more printed. Colours very vibrant, it will depend on the quality of your prints in the first place though! Delivery was super quick also. This was my second order with Pixa. The first was for a couple of A2 calenders not long before christmas. Arrived quickly and efficiently. More recently a canvas print ordered - unsure if the whole picture was in the frame. Emailed Alister who was quick to reply that the picture was going to be ok. True to his word it was and arrived 4 days later. ( put photo on system Sunday night arrived Thursday morning and with tracking info given followed the order to my door). Very clear canvas print. Now on the wall opposite a print of my other daughter's wedding. Looks very nice. Great product, delighted with it! Fab photo, so clear, came so quickly! Review by: Emma Sexton s.
Very happy with my canvas as the quality of my photo wasn't the best. turned out far better than i expected. very fast delivery will be buying from here again. Great value and excellent quality. Really good, efficient and quick service and great value for money. Superb results with Pixa Prints Everytime I wont go anywhere else now . So happy will the Quality Brilliant Service and Fast Delivery. Excellent quality with one of the best prices I found. Packaging was superb and will be buying again from Pixa Print. I can't say anything negative about this product or this company - perfect! Thanks for great service - quality, speed, price - all without any fuss and nonsense. Not only well packed and a hanger supplied but a picture hook too. This was on top of excellent quality and a simple to use upload/design service on the website. This was such a great product what a joy to recieve this canvas .smiles all round the perfect gift delivered . Fantastic canvas print at a fantastic price , many thanks! Would highly recommend! I'm so glad I chose pixa prints to turn my favourite photo into a canvas. I can't wait to put it up. I've had so many compliments about it already from family members. I would definitely recommend pixa prints to anyone wanting a canvas. This was a great print result with the fast efficient service yet again pixa print make it so easy . Another great result thanks pixa prints profession fast efficient service yet again. Love this producr fantastic results yet agsij with Pixa Print .My go to choice for printing needs now . No competition. Such great results everytime I use Pixa Prints fantastic quality and value . So.pleased with this canvas . Another great addition to my wall stunning results on canvas . Ordered Sunday night, arrived Tuesday. Second item I have had from pixaprints , definitely more to follow. Would definitely recommend this company, it was so easy to order the canvas, and when it arrived we really loved it. Having tried a few other sites just before this one (and having ordered then cancelled one order) I had no trouble getting exactly what I needed at the right price. Well-executed prints, delivered quickly and carefully packaged against any potential damage. I will definately be using Pixa again. I am so impresssd with the quality of the canvas and how clear my image was on it. It is an amazing, well done and high quality product. Delivery was also brilliant, being on time and Package perfectly to keep my product safe and not one inch of damage. I will definitely be coming back here again when I need anything like this done again - they are now my go to. Absolutely Delighted with Pixa Prints service speed and quality of product. I really would recommend them .The Canvas prints are excellent. Thankyou so much . So pleased with the quality and speed at which this was delivered. Brilliant Service yet again ! Great product delivered safely and quickly. Excellent service. Very happy, will buy canvases again from you. Packaged great and the picture looks really good :) delivery was very fast! ???? I never seem to be disappointed with the results . Prix Prints are the only site I will use for all my printing needs . Fantastic job ....Im a very happy customer. Very pleased with the results of this canvas as my image wasnt the strongest but Pixa Prints did a fabulous job . Great service yet again from pixa prints Im so impressed with the quality of these canvas prints .A wonderful job I would strongly recommend Pixa prints . Fantastic canvas print .This was a gift and has made the recipient extremely happy .Thank you for get another wonderful job . This is one of many beautiful prints I have had done by pixaprint. The quality is always great! Site is simply efficient , no problems with product size shape etc. Ready for collection in 16 hours rather than 24 . Banbridge staff courteous and extremely helpful . Will definitely use Pixa Prints for all future needs and will recommend to all . Very happy with my canvas it really is a good quality job. Great quality canvas, no complaints at all, and the delivery was much quicker than first advised. Top job all round! So happy love it ! Great product. Extremely happy ???? The quality is fantastic. Speed and efficiency of service, outstanding. I bought this for a gift to my husband, for our 2nd wedding anniversary. He loves it. Thank you pixaprints. ???????? Delivery was quick. Kept up to date with progress. Very happy with canvas. Have wanted a picture of a highland cow for a long time but never able to afford to buy one so when I found a photo of one on an old memory card I decided to get it put on canvas . The quality is superb and it was so affordable . Really pleased with it . Will continue to order, thankyou very much. Really impressed with how this printed. Very easy to upload and arrange the photo. Ordering very simple and totally amazed with how great you made my photo look. The product was reasonably and competitively priced. I was so pleased when I received it as it was of good quality! Thankyou so much pixa prints- I will recommend you to anyone who's looking for a canvas! I have ordered 2 canvases and they are absolutely brilliant. They both came well packages and quick delivery. Cant recommend pixa print enough. Great prices to. Really happy with all my purchases! First time buyer but would definately use again. Yet again very happy with product do amazing job very easy to talk to great service..
Nice product but not the best. The canvas was nicely constructed and came in good time. However it comes with no fixings and the colours were muted compared to original image. Overall a nice product for the price. Pixa Prints Response: Thank you for your review. 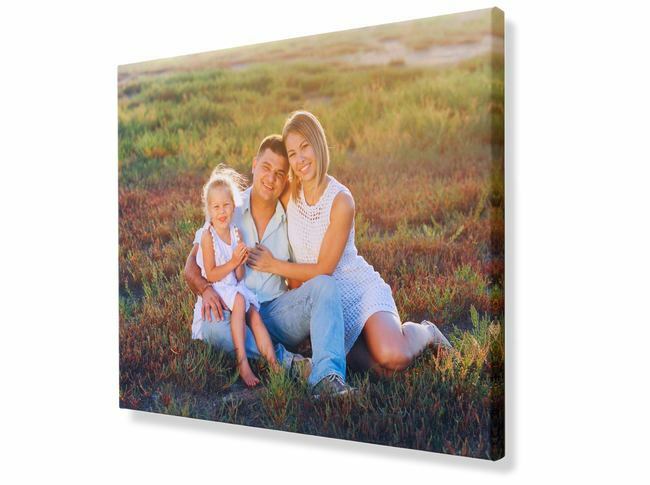 We have now upgraded our canvas prints to come with a hanging kit on all options. If you can send us a photo of the canvas we would like to check the colours for you and reprint if required. Many Thanks, Richard. The delivery delay was taken care of so thanks for your great customer service! Good quality canvas produced quickly. I have used Pixa Prints quite a bit this Christmas and ordered this canvas to get a large print of my step-dad and step-sister. They were delighted with the canvas and thought it was a lovely idea. Again - so pleased with the product and service from Pixa Prints - clearly a well-thought through user experience. I work in digital marketing and fully appreciate the planning that must have gone into the online interface. Most impressed - thanks guys! could not fault quality or service. Very happy with my canvas prints they are at a very high standard, I'm very impressed. Will be recommending the company to everyone needing any items like this. Very impressed by the excellent quality of the canvas prints, can't rate them highly enough. They are top quality products at a cheap price. Would recommend your company to everyone. Very impressed by the quality of the products, the are of a very high standard. The cost of them too is very resonable, i'll never buy photo products anywhere other than pixa prints again. I LOVE IT ! I LOVE IT! I LOVE IT! The canvas is absolutely stunning. It's a Xmas present for a friend and I know she's going to love it. Thank you for an excellent service. I wasn't sure how it was going to turn out but it came out perfect. Really chuffed and can't wait to put it on my wall. The submitted artwork was very crisp! Canvas given as a gift, recipient very pleased. Discount offer at time of purchase meant this was also very good value. Very Good service. Finished canvases were to a very high quality. Also I was informed by email of my orders progress throughout. Will definitely use the service again and would recommend to anyone wanting to create canvas prints without spending a fortune. My mum and dad loved the canvas it was high quality and value for money. The delivery was really quick too. I would totally recommend to anyone who wishes to receive a good quality picture. ???? A great product and a fast service. Can't fault a thing! 2nd time ordering from pixa prints. Very happy again. Great quality products at great prices! Designing this through the website was easier than I thought it would be so will definitely do it again. Item was completed next day and I'm so pleased with standard of work....love it! First screen print order placed, and even though I'd ordered calendars in the past, I wasn't sure about this. All my worries however were unjustified. Superb quality printing, good wooden frame, well wrapped edges, and this was the lower quality version!! More WILL be ordered! So pleased. We now have a picture worth hanging! So pleased. Finally a wedding picture worth hanging! We had been waiting for a good deal to come along on a canvas and stumbled onto this website. So pleased we did. Great quality image so pleased. Will definitely use again! this product turned out perfect and an amazing quality. It was very easy to design and I received the item quickly and without hassle. Definitely buying from them again! Love this canvas, looks great on my wall, only thing i would say, is that it needs more staples at the back, i have stapled myself so its more secure. First time ordering a canvas print. The photograph has turned out well. However, although happy with discounted price unlikely to have ordered at full price. I am very happy with the service from Pixa Print. The canvas arrived on time and well protected. I think that the colours have come out a little brighter than the original making the childs face look blotchy instead of healthy colour which is a bit disappointing. Amazing quality canvas print, super fast delivery and packaging was top notch. I will be using again for sure. Thank you for making our anniversary so special! Review by: Natalie Gawthrop G.
Got this for my mam as a gift and she was delighted with the quality of the canvas, really great price too! The online system to order the canvas is easy to use and very helpful. I was very happy with the end result and it was a great Christmas gift.